In Crossroad Mysteries - The Broken Deal, a young woman haunted by nightmares is determined to find answers. After recalling some very early memories of an asylum near her childhood home, she knows that the only way to find answers is to go there and learn the truth at any cost. Help her dig up her past and brace yourself for what you’re about to find out! 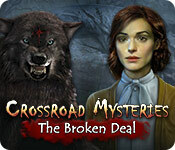 Crossroad Mysteries: The Broken Deal is rated 3.6 out of 5 by 28. Rated 5 out of 5 by eric72 from underrated game ? This was a good gaming experience for me. I don't like very difficult games , but this one although a bit more challenging than your average predictable HOPA was rather fluent and enjoyable. Storyline , atmosphere , immersion are excellent with moody graphics and music, and i like it that at one point you play as a policeman instead of the woman. What was really appreciated is that the situations and use of the inventory objects ressemble real life for the most part. Hidden Objects scenes and mini-games (of which i skipped only 2) are excellent , varied and not so easy. One of those games that give great satisfaction at the end. Rated 5 out of 5 by Sami141 from old school adventure player? BUY IT! I love the old adventure games but it seems more and more difficult to find one without the HO element ( which i hate). This DOES have some HOS but you can click around really quickly to get through them. This game on difficult mode really makes you use your brain and use logic rather than being hand held all the way.I never have the music on so cannot comment on that, I just have sound on. Im only an hour in and im totally hooked! More games like this please Big Fish! Rated 5 out of 5 by Yanie1020 from Loved It! More of these, please. Lots of puzzles and a very eerie, creepy feeling. Enjoyed every minute. Finally a game that made me think extra hard. Not sure why I had an extra key when the game was over but apparently didn't need it. I highly recommend this game! Rated 5 out of 5 by lauraleewarner from The Devil Made Me Do It The game has all the good elements,the story line was a good tale.A mother with a sick child,makes a bad deal...going against her judgement and wishing she hadn't done it,too late. The mini games were harder than usual and the hops were really good.Good story line. Rated 5 out of 5 by Kiandi from This Broken Deal Is At The Crossroad Wow, I was shocked to see a Hidden Object game being offered on a Wednesday. Usually it's a puzzle, match 3 or a time management on sale. Anyways, the game in question is an old school, no hand holding game that totally makes you use your gray matter. The graphics, sound and mechanics all seem to be of good quality. I recommend this game if you want a good challenge and/or if you need to fill up your punch card. Rated 5 out of 5 by Kafinkee from Love it! A for-sure buy for me -- I enjoyed every minute of the demo. This isn't the usual wow-you-with-our-graphics, too easy/hand-holding kind of game we usually see on offer. Great storyline so far, pleasing and not over-coloured graphics that suit the mood and story, loved the sound effects, too. Uses for found objects is logical (so far), decisions you make as a player affects what happens next as another reviewer has already noted. Love the atmosphere -- very well presented. I can't wait to see what happens next. I highly recommend you give the demo a try to see for yourself! Rated 5 out of 5 by pennmom36 from STIGMATA This is one of those old school games that you'll either love it or loathe it. The graphics aren't all that great, but they are decent enough to make the game enjoyable, and the iconic old school vibe, adds to the mystery. You can choose the difficulty level from Easy to Nightmare, and all information is logged into your Journal. There is a jump Map available, but it doesn't have icons that tell you which location has an available task, at least none that I noticed. I was really getting into the storyline, and it has some really good features, such as collectible Wooden Crosses to give you extra Hints (you can also combine 3 elements in a row, I'm assuming in a mini game, to add hints if you run out, but you start out with several hints and I never ran out to find out specifics of this feature) The crosses aren't easy to find either, I'm not sure if they aren't available in every scene or I just didn't always spot them! There are also Conversation Choices at times to make, and the feature I loved the best, was that my decisions actually matter. By this I mean, if I choose the wrong decision, it's GAME OVER! Yep, you must make life or death decisions, so choose wisely! You may not even notice that as you progress, there will be save points, which are automatic, and if you make the wrong decision, you will start back at the last saved position before the incident, how cool is that!! The Broken Deal is about a woman who remembers nothing about her past, a woman branded with unknown symbol stigmatas on the palms of both of her hands. The last thing she recalls is an old asylum (of course) so she boards a plane and heads to Blackburn, but her destination never arrives......or does it? 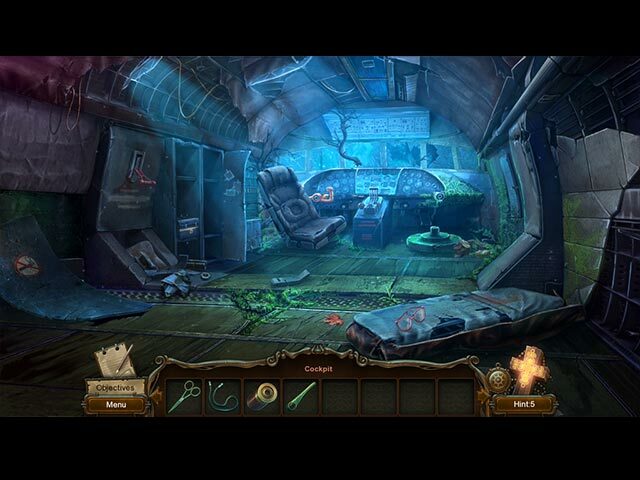 The Hidden Object Scenes are all Interactive List finds, at least in the demo. They are decent enough, and the graphics are clear enough, nothing special, but nothing horrible either. There aren't a whole lot of mini games in the demo, but they really aren't that bad in my opinion, I found them to all be doable and entertaining. 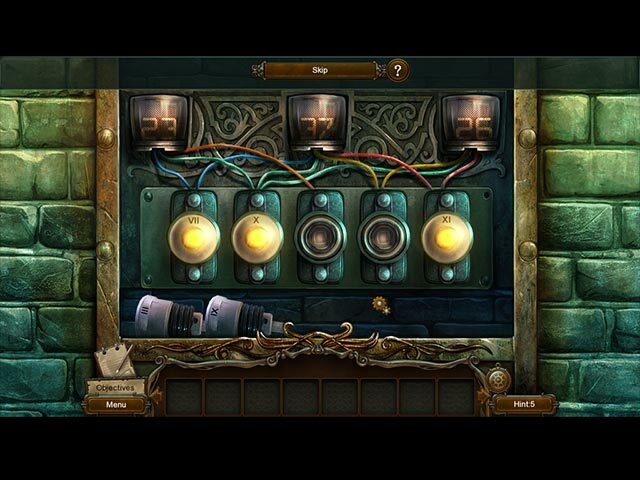 Below are brief descriptions of some of the games you'll encounter during the demo: 1) Rotate the knob to set the radio frequency using the light brightness as your clue. 2) Turn all cells green within 14 moves without intersecting cells already lit. This game probably isn't going to win any awards, and it's certainly not going to be everyone's cup of tea, but I really like the mysterious plot. I've already used a PCC to buy the game because there's just something about this story that intrigues me, I've gotta find out how it ends, enjoy! 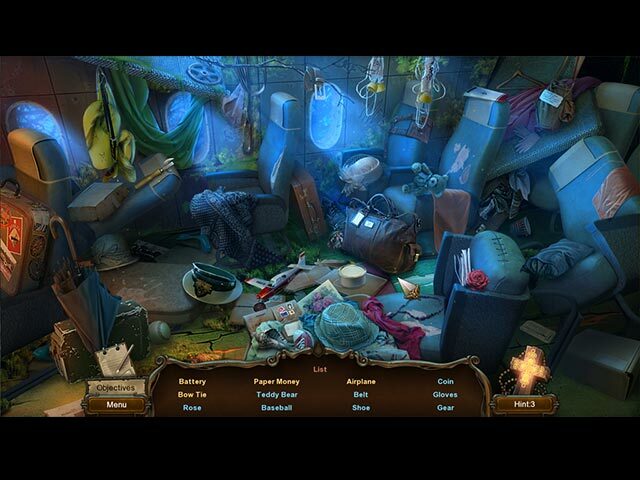 Help a young woman dig up her past and face her fears in this hidden object adventure!